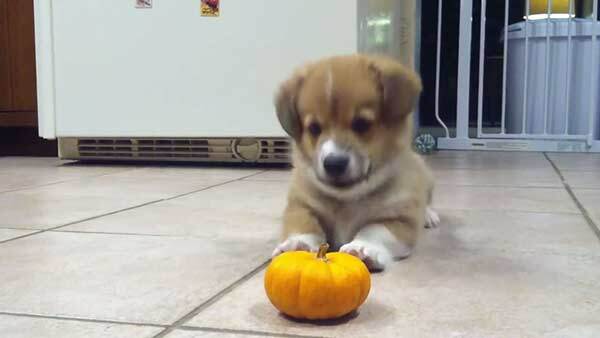 This mini-dog is not a fan of this mini-pumpkin. The dutiful dog stands his ground throughout the pumpkin encounter, refusing to back down. Bilbo the Corgi's defensive series of snarls and swipes throughout the standoff show this pumpkin who's boss! The video, which was originally released last year when Bilbo was 9 weeks old, was posted by a New York woman and is getting renewed attention with the Halloween season. Nearly half a million people have viewed the confrontation on YouTube. For more cute animal stories like this one, click here!